The kitchen is the heart of your home. Now if you love cooking just the way I do I’m sure you would agree with this. It is your space to recreate a magical recipe or experiment with another or perhaps follow one that has been handed down from one generation to another. 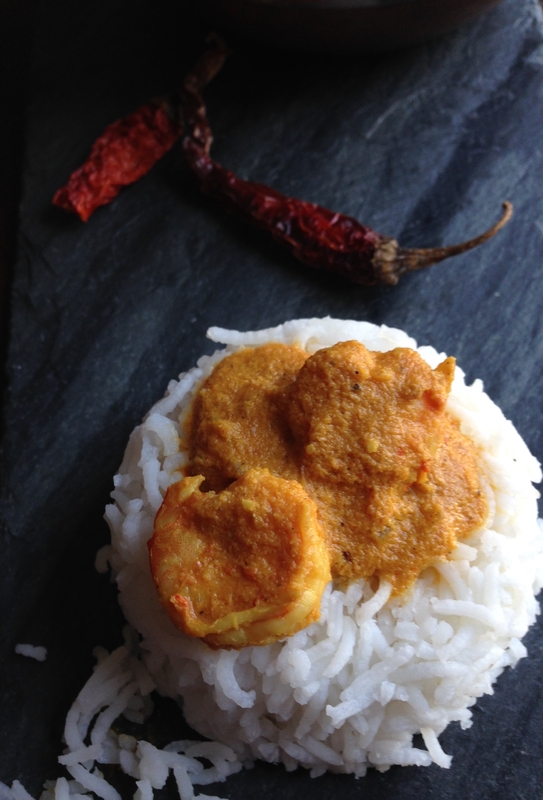 A very warm welcome into my kitchen dear readers and here is a recipe for a Goan Prawn Curry.A recipe handed down by my mother-in-law and one that I treasure. It has over the years become my to go Curry and a family favorite too. I learned to cook fish with my Mother in-law patiently explaining me the process while she cooked, while I hurriedly jotted down the notes. Now this was a couple of decades ago when I was a newly wed. I still have all those yellowed notebooks with hand written recipes. Most of them seem na o brainer now as I seem to have mastered the art of Goan Cooking, being married to my through breed Goan husband and a finicky one that too. Well at least he is one when it comes to cooking fish the Goan way. I still treasure those notebooks though .Some pages seem frayed and tattered and some still legible. While I seldom need to look at this recipe as I’ve been cooking it for years now ,I thought it would be the perfect one for my blog post. The curry uses simple ingredients of fresh prawns, onions, garlic paste and a paste made up of freshly grated coconut,red chilies and roasted coriander seeds. 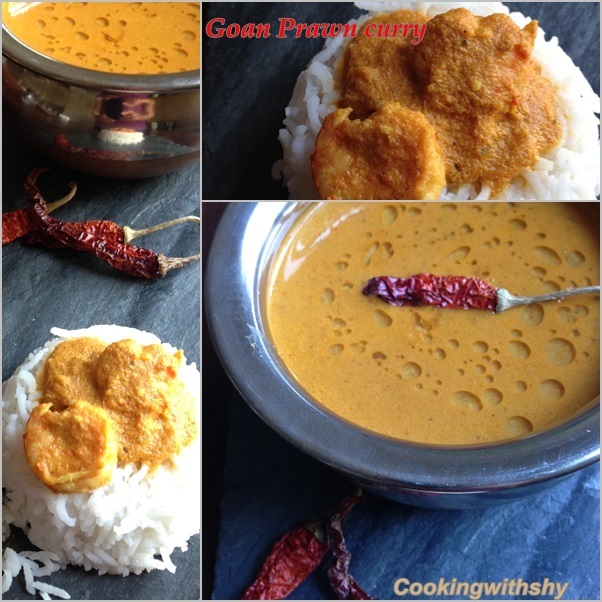 It is a wonderful,l tangy and flavorful curry and best served with rice. 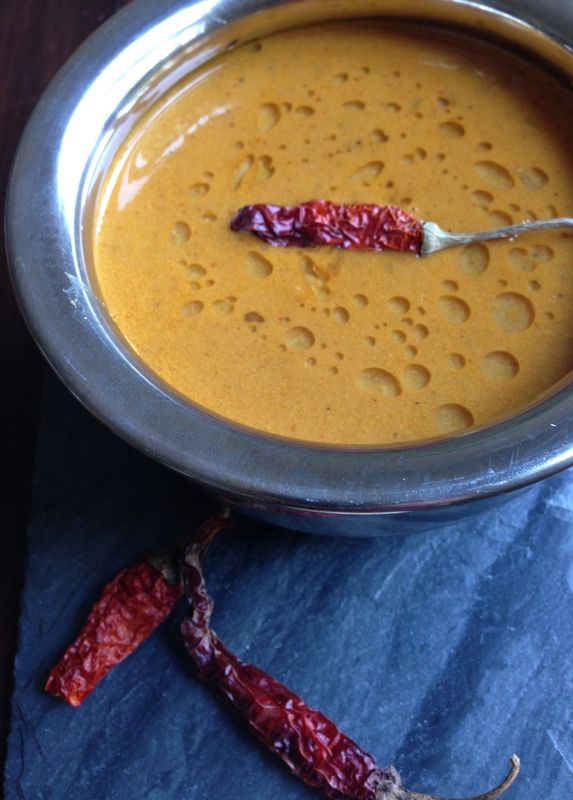 Wash the prawns under water and marinate with a pinch of turmeric and chili powder and keep aside. Grind all the ingredients under the paste mixture with a little water. Heat some coconut Oil in a pan and add the Onions and fry till medium brown. Add the prawns and mix well. Cook for about 8-10 minutes or till prawns are cooked. Add the ground mixture and fry for a minute. Now add sufficient water to make it a medium thickish curry consistency. No problem it looks great! 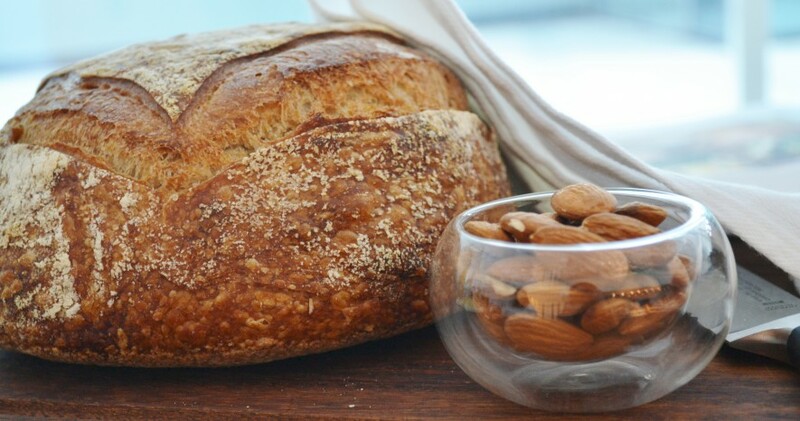 It seems simple yet delish. Also, I’ve an invite for us all. It’s a #WeeklyChallenge for #FoodBlogger to encourage genuine blog appreciation (not just empty likes). Please visit http://wp.me/p6c369-10 to participate & know more.